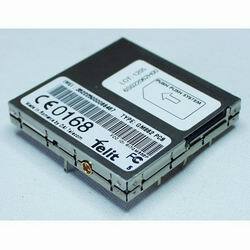 The GM862 is a GSM cellular module that enables you to connect to the cellular network using simple 'AT' commands. 1) The GM862 uses a very specialized 50-pin molex connector that only comes in SMD. 2) The GM862 requires 3.8V at 1.9A peak. So you'll need to use the LT1528 as well. Cool module. Works anywhere with GSM connectivity (North America and Europe included). The dimension stuff can be found on page x of the hardware datasheet. To implement this module onto a PCB layout, see the footprints associated with the SMD connector. This page was last modified on 4 February 2008, at 17:40. This page has been accessed 55,799 times.